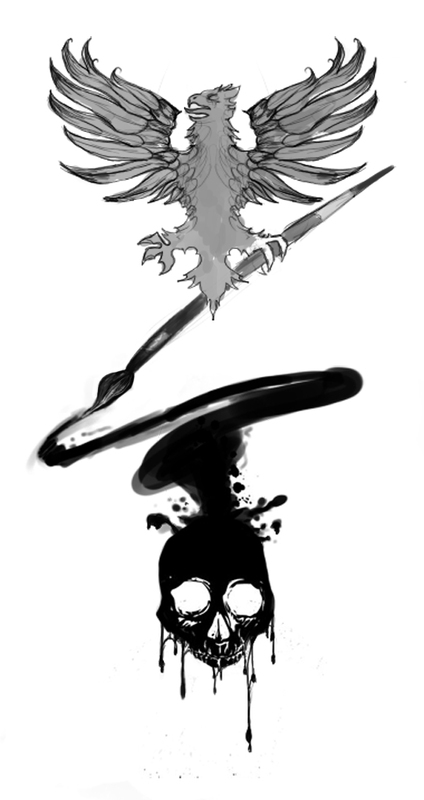 been thinking of tattoo designs….Came up with this tonight. i don’t know what i think yet but at least I’m thinking! I like the bird… i just don’t know what else to do. NICE! Where do you want to get it? Love the brush stroke, looks so tight! Maybe ill get one with you! Hey! Great design, are u gonna get this tattooed?